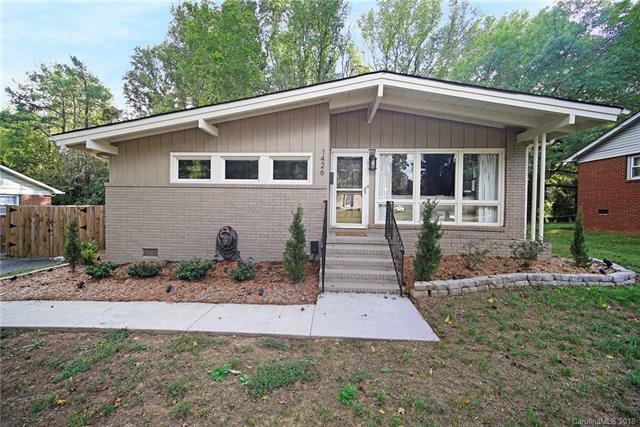 Gorgeous remodeled brick home located on a private street in very desirable Starmount. Beautiful updated kitchen with granite counters, stainless steel appliances, ceramic tile back-splash and all new cabinets. Gleaming hardwood floors throughout home. Open floor plan has been freshly painted with designer colors, adding an abundance of light to display the magnificent soaring vaulted beam ceilings. Gorgeous woodwork throughout home including sliding barn doors to the laundry room. Just minutes from the light rail for an easy commute. Private fenced in yard with mature trees adding shade. New deck on back of home is pre-wired for entertainment. Spacious yard for play/entertainment and crawlspace under home is a great space for stprage. Welcome home!